It's been a good car except a few problems. The electric windows have had to be fixed and broke again. The door handle inside the drivers side broke. The gas acts as full even when not so when I pump gas I have to go as slow as possible so that it doesn't constantly click off as if it was full. But a Hyundai. If you want a great car. I love my car and have not had any major problems with it. I would buy another Hyundai in the future. My car gets good gas mileage and has only needed tires and oil changes. New belts once. For a small car it is comfortable. My chubby friend has no problem riding in the back seat. How well my car runs and handles. It's a great car no problems until now. I believe it may be fuel pump. 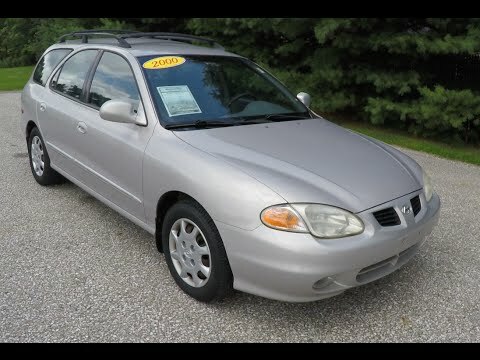 Other than this its a great car I've had no problems it runs great, the gas mileage is awesome, and I drive it everywhere. It even handles great in the snow and we get plenty of that here in Montana. Is the Hyundai Elantra Just a Tiburon in Disguise? - Modified Elantra Review! Certain Sonata vehicles equipped with 2.5 liter V-6 engines and all Elantra vehicles may experience intermittent low-speed engine stalling, which occurs if the MAF (Mass Air Flow) Sensor electrical signal is interrupted as a result of engine vibration transmitted to the MAF Sensor connector wiring harness. This condition can increase the risk of a crash. Dealers will re-route the MAF Sensor connector wiring harness. The manufacturer has reported that owner notification was to begin during October 2000. Owners who do not receive the free remedy within a reasonable time should contact Hyundai at 1-800-633-5151.